The Adventure Tarp is designed to be used as an additional porch for a Vango tent or as a standalone tarp-style shelter. It comes with guy lines, pegs and a very robust pole as well as an elasticated edge to provide a closer fit to a curved tent. When used as a more traditional tarp it can’t be set up in such a wide range of configurations as others, as it doesn’t have the range of rigging points that other tarps are fitted with. But you can still create the classic A-frame and flying V configurations easily, and you can of course use additional trekking poles to enhance the shape of your shelter. 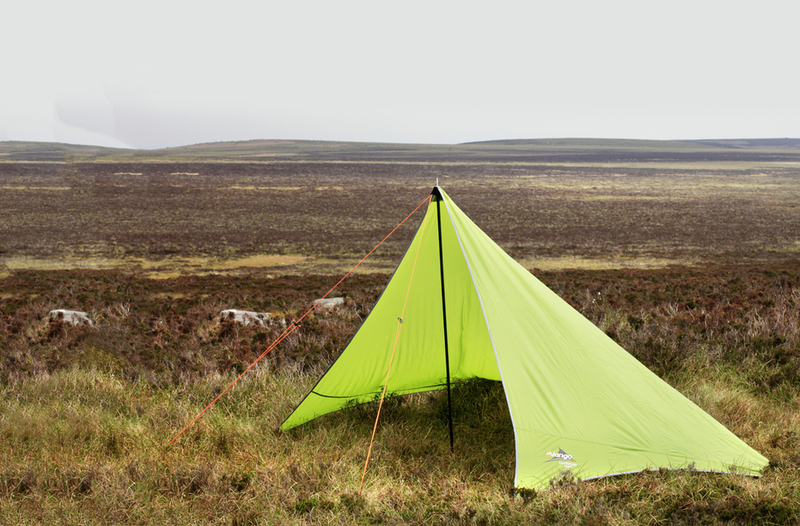 At £30 for pegs, guy lines and pole, this is the best-value tarp option in our test. The Adventure Tarp is less versatile than other more dedicated tarp designs, though it’s ideal for adding to a Vango tent and occasional tarping. The Vango Adventure Tarp is the best choice for budget tarping in our buyer’s guide.